The Edo Command of the Federal Road Safety Corps (FRSC) says it recorded 32 deaths in the auto crashes across the state between July and September. The Sector Commander, Mr Anthony Oko, made the disclosure on Tuesday in an interview with the News Agency of Nigeria (NAN) in Benin. 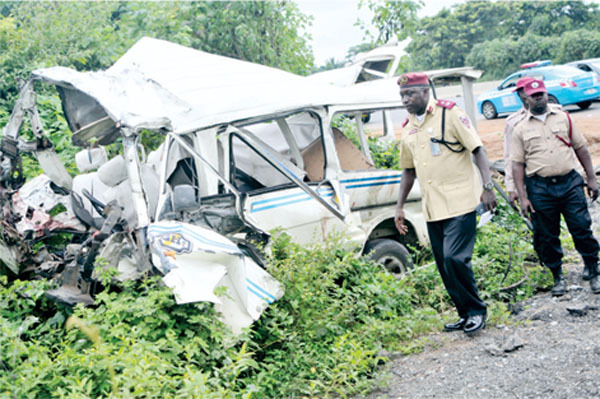 Oko said that the the figure comprised 28 males and four females resulted from the 50 road crashes recorded within the period under review. According to him, 16 of the 50 cases fatal, 32 serious while two were minor cases. Oko advised motorists to always drive within approved speed limit and also ensure that their vehicles were road worthy.